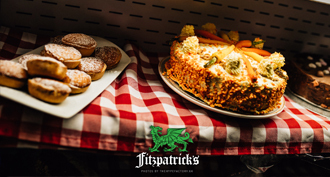 From Christmas holly and Santa’s sleigh to festive menus within an atmosphere of Christmas as it used to be. We offer our guests a feast of seasonal tradition and gastronomic delight. At Christmas, on Santa Sunday, Santa arrives in his sleigh. 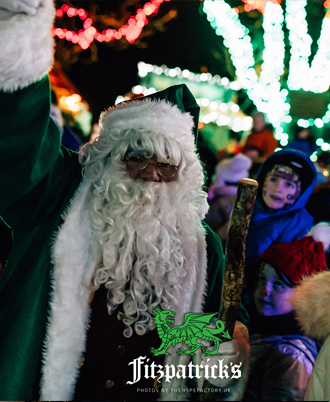 He stays for a while to join us in a special Christmas snack and meets each child in his custom made workshop. Santa has a gift for everyone and promises to visit them on Christmas Eve; if they’ve been good of course. 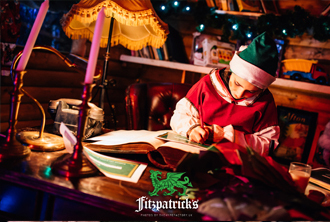 In the workshop, while they are waiting to speak with Santa, children can bake cookies with Mrs Claus and meet with the elves who are busy getting everything ready for the big day. 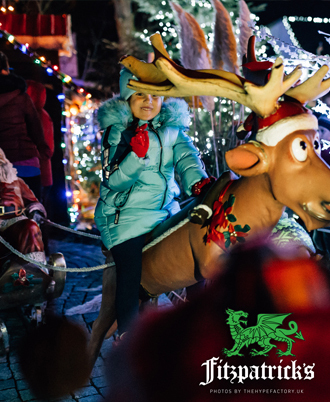 It’s a wonderland of fun for Adults and children alike. 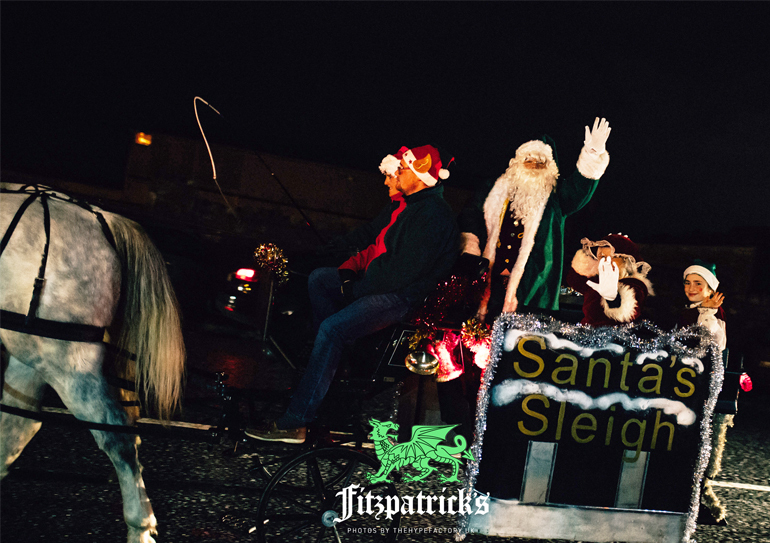 From the time Santa arrives on Fitzpatrick’s rooftop till the time he waves goodbye there are fun, frolics, festive goodies and maybe even a little mulled wine for the Mums and Dads. Whether you are planning a Christmas party or a dinner for two, the intimate setting of our bars and restaurants guarantee a very special night out and is the obvious choice.We offer discounts for mid week and have a special menu for parties of 10 or more. For more Christmas images click here to go to our Photo Gallery.